Mr Fola Daniel, veteran underwriter, administrator of high repute and Commissioner for Insurance for eight years bows out as the Commissioner For Insurance. 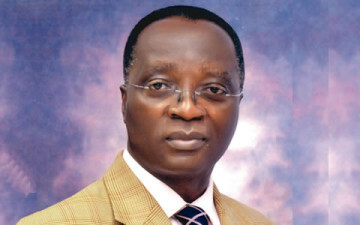 He leaves office effectively at the end of this July after serving for Eight years as Commissioner for Insurance/Chief Executive of the National InsuranceCommission (NAICOM). Although a successor is yet to be named by the government, the air of expectancy amongst insurance industry practitioners is very high. The wishes of the people is that any incoming Commissioner for Insurance should consolidate on the gains of the Fola Daniel’s era. For the outgoing Commissioner For Insurance, the general consensus of opinion of major stakeholders is that his eight-year reign has been transformational. They aver that Shylock’s words in Shakespeare’s The Merchant of Venice, 1596 fittingly encapsulates Fola Daniel’s leadership of the Commission since 2007.
his watch, the insurance industry could be said to have experienced its Golden era so far. Prior to his appointment as Commissioner for Insurance in 2007by former Presidient Olusegun Obasanjo, Mr. Daniel was the Managing Director of Globe Reinsurance Plc . He had successfully completed a two-term tenure in 2004 as Managing Director/CEO of the Nigerian Agricultural Insurance Company (NAIC).